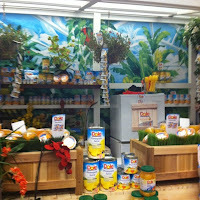 I had the opportunity to visit the Dole Greenhouse and their booth recently at BlogHer12. In my opinion, they were my favorite booth. Maybe because my energy runs real low at these events and eating is always a second thought. I knew if I ran by there for a quick visit, I would be rewarded with some Dole Real Fruit Bites or a sample of Dole Fruit Smoothie Shakers. Not to mention the awesome recyclable strawberry bag that they gave away! As I have learned the hard way, when you get older your metabolism changes. This is a hard thing to get used to, to understand and to comprehend. When I was younger, I ate and drank whatever I want, whenever I wanted. My friend and I would do an hour of yoga or Pilates and then go to Happy Hour for two for one beers...true story. Once I got in my 30's the metabolism Gods had the last laugh. Long story short, I have changed my lifestyle, have a better understanding of that I need to eat throughout the day even if I wasn't hungry to maintain thin. 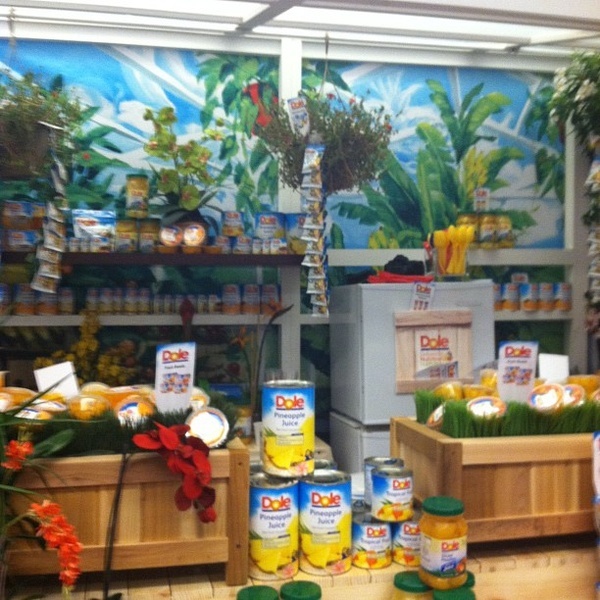 I am excited to now look to Dole and their products for their assistance. As a freelancer, I get up at 5:30 and start with coffee and then look up and realize that it is now 9am and I have not had anything to eat. The grab and go ease of Dole's new products will help me get this nutrition to keep my energy and metabolism in check. New DOLE® Frozen Fruit Single-serve Cups provide delicious frozen fruit in unique and convenient single-serve cups. I can simply grab a cup from your freezer and enjoy at home or on-the-go or use it in a smoothie. Instead of the other fruit cups that are packed in juice or syrup, DOLE® Frozen Fruit Single-serve Cups are just fruit and contain no added sugars or preservatives. Each cup contains a full serving of fruit and 50 calories or less. DOLE® Real Fruit Bites hands down saved our life at this festival.They are the perfect naturally sweet and delicious on- the-go snack. Each pouch has 80-90 calories, packed with Vitamin C, and no trans fat-making it the ideal portion-controlled, healthier treat. Your choice of apple, pineapple and mango (my favorite). DOLE® Fruit Smoothie Shakers® make it easy to have a great-tasting, nutritious, real-fruit and yogurt smoothie any time of day—no blender needed, no messy clean-up. I saved the best for last, these are so yummy and easy. There is no reason for me to skip breakfast anymore! The Fruit Smoothie Shakers are made with frozen yogurt beads and finely cut fruit. You just remove from the freezer, add your favorite juice, then shake for 30-45 seconds for an instant real-fruit and yogurt smoothie. How awesome is this? Especially for someone who hates to drag out the blender! They are all-natural and fortified* with vitamins, protein, fiber, and pre- and probiotics (live and active cultures). They are low-fat and a good source of calcium, with only 180-190 calories per serving (with 7-oz. of juice). So these are my options that I am incorporating in my diet to balance it all out and keep my metabolism in check. They make it really easy to grab things when you are busy and on the go. What is your go-to snack?? Enjoyed reading this. I picked up a cup at BlogHer, and it was tasty. This past week i started changing my diet and joined weight watcher, which I did years ago. It really helped me then "see" what I was eating and to portion it better. I love Dole pineapple, so this was a great reminder for me to pick up some for healthy snacking and getting "fruit" in my diet. I think weight watchers is great. I am a fan! Let me know how it goes!